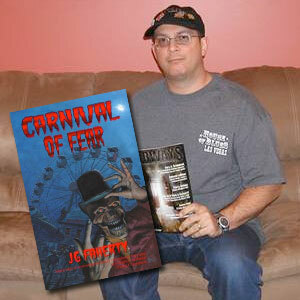 In this episode, I interview horror author J.G. Faherty. We talk about his novel Carnival of Fear, as well as how his unique and eclectic background informs his work, why carnivals and clowns are scary, transitioning from short stories to novels, self publishing an ebook, mentoring other writers, dreams as inspiration, graveyards, why horror is an under-appreciated art form, the reclassification of horror in bookstores and betrayal by genre-shifters. A company that publishes ebooks to several e-book reader platforms. Released in March 1995, the song was written by Eric Bazilian of The Hooters. It became a top 40 hit in November 1995.